My name is Stina Sieg. 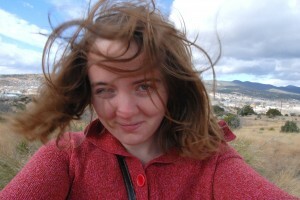 I’m 26, and I’m a freelance writer and photographer, originally from the San Francisco Bay Area. 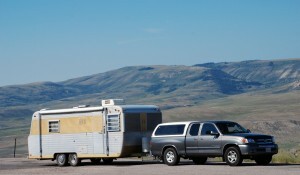 This site is a journal of my current journey, a trip around America and Canada in a silver, 1969 Boles Aero trailer. I left my most recent home of Moab, Utah on July 15, 2009. The plan is to be gone at least a year. I wish I could tell you exactly why I’m traveling, but I can’t even voice that for myself. I only know that I have to do this. There’s something inside me that’s aching to have a risky adventure, and I’m leaning into that. I want to meet people across these two countries. I want to hear their stories. I want to jump outside myself. I’m excited and I’m scared, and every day is completely new. As I don’t have nearly enough money to last me more than a few months, a large part of my travels will be doing work along the way, hopefully writing and photography gigs, though I’m prepared to wait tables in South Carolina or groom dogs in West Texas if I have to. Whatever it takes. Working at newspapers for the past few years, I’ve started to realize that it isn’t enough for me to simply experience things. I love to — and I need to — capture moments in words and photos. In these pages, I’m going to tell you the good stuff, the bad stuff and the wince-inducing, embarrassing stuff, because it all matters. It all matters. I’m not sure of much, but I am sure of that.